As a NetSuite SDN partner, Folio3 specializes in NetSuite implementation services. Our NetSuite teams have extensive expertise in developing and implementing NetSuite solutions tailored to the needs of our clients. 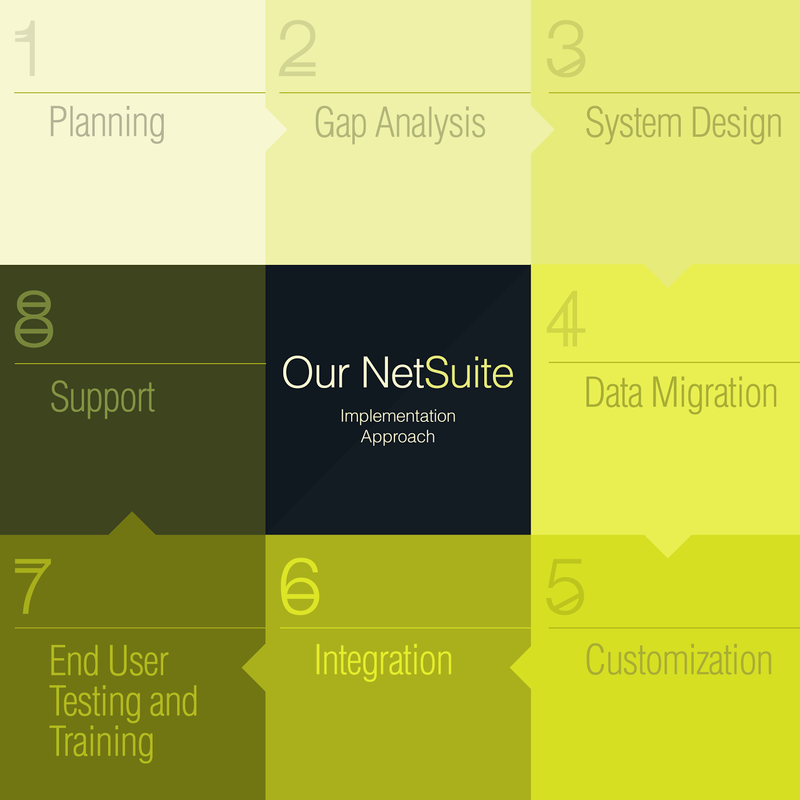 We understand the complexities involved in a NetSuite implementation. Whether you’re implementing the complete NetSuite ERP, CRM, a SuiteCommerce based web store or two out of three from the above, our NetSuite implementation services can help you plan, design and deploy your NetSuite implementation, on time and with minimal risk. Our NetSuite implementation approach is a Business First approach. We work with you to understand your business processes and the specific pain points you’re trying to address, so we can model the NetSuite solution to best address those needs. Our NetSuite implementation methodology combines both NetSuite methodology as well our own implementation best practices and comprises of a series of structured steps that help you implement your NetSuite solution with minimal disruption to your business. If you have a NetSuite implementation project you would like to discuss or would like to know more about our NetSuite implementation services, please get in touch with us at [email protected] or fill out the Contact form.